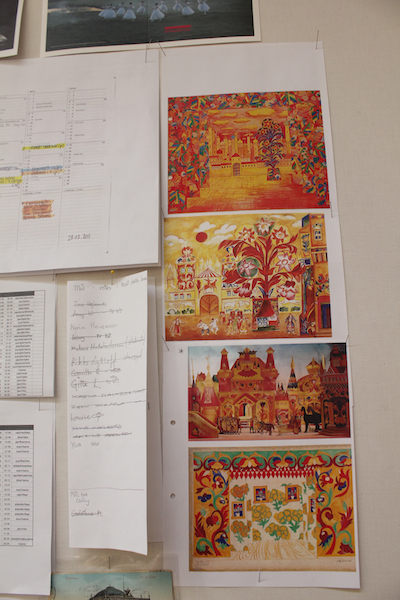 The fall season of the Royal Danish Ballet opens this September with a world premiere of Alexei Ratmansky’s The Golden Cockerel. Currently the resident choreographer of American Ballet Theater, Ratmansky returned to Copenhagen where – all the while pursuing his passion for creating new works - he danced for four years as a principal. 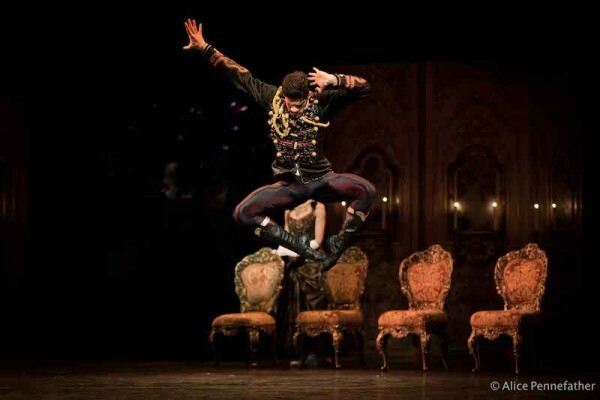 His performing career also includes such other world renowned companies as the Mariinsky, the Royal Winnipeg Ballet and the Bolshoi. For the past month, the company has had the honour of working with him, choreographing a ballet based on of a Russian folktale written by Alexander Pushkin in 1834. Formerly portrayed as an opera by Rimsky-Korsakov in 1909 and first staged by the Ballets Russes (Mikhail Fokine) and Opéra de Paris (Diaghilev) in 1914, the story of The Golden Cockerel explores a satirical view on the Russian Revolution of 1905 and the Russo-Japanese War. 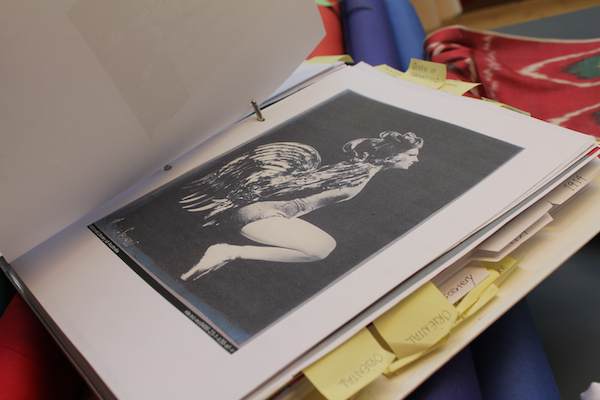 The research behind the costumes (patterns and textiles), music (the original Operatic score! ), mime and authenticity of the narrative was presented to us at the beginning of the season, but nothing could have prepared us for the abundance of color, creativity and originality that would soon make up our next five weeks in the studio and on stage. Working with Alexei has been both challenging and inspiring. His precise, efficient work ethic is not only evident in our precious studio time, but carries through brilliantly to the production as a whole. He asks for more: bigger movements, higher jumps, purposeful technicality, while allowing room for creative interpretation and individual style. During a ‘preview performance’ he recently pointed out how much he enjoys seeing the choreography that he has preconceived morph into a unique version on the dancer he’s working with… an experience that I can attest to daily, working with him on the role of the Golden Cockerel—a majestical bird whose determination, flighty energy and prowess earn the reverence and trust of the entire empire it protects. The past week has been our first on stage at the Opera house where we will perform 13 shows beginning September 15th. Seeing the collaboration of time, talent, research and visions coming together on this production has been a jaw-dropping experience. Each day a new detail to discover, pattern to play, and feather to ruffle. From the peasant girl’s embroidered blouses, the soldier’s masked shields and the Astrologer’s mysterious cape, not one, authentic detail has gone overlooked. 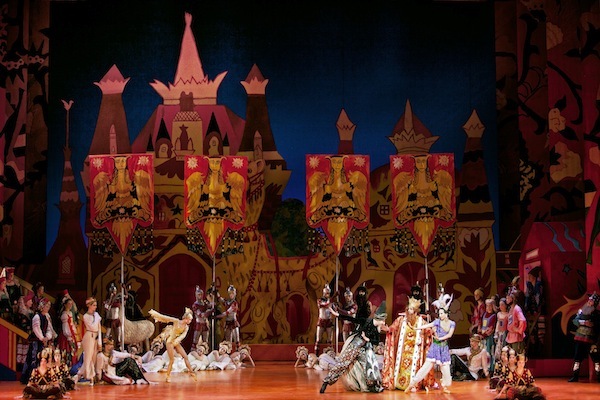 Between the entrancing mystique of the Oriental Queen and the Cockerel’s call, the audience will be transported into a Marionette theater of Russian folklore, complete with daring choreography and color. An experience not to be missed. 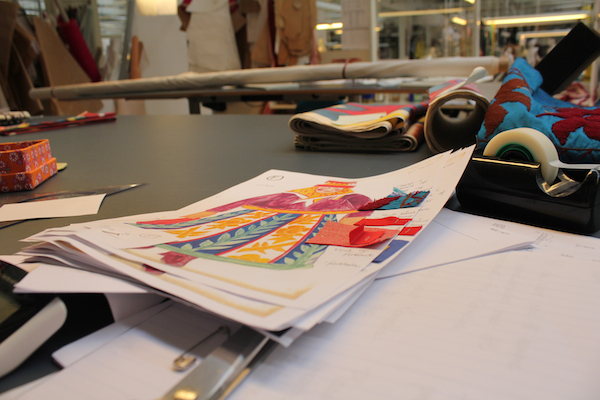 You can see more pictures taken by Shelby in this blog post about the production. 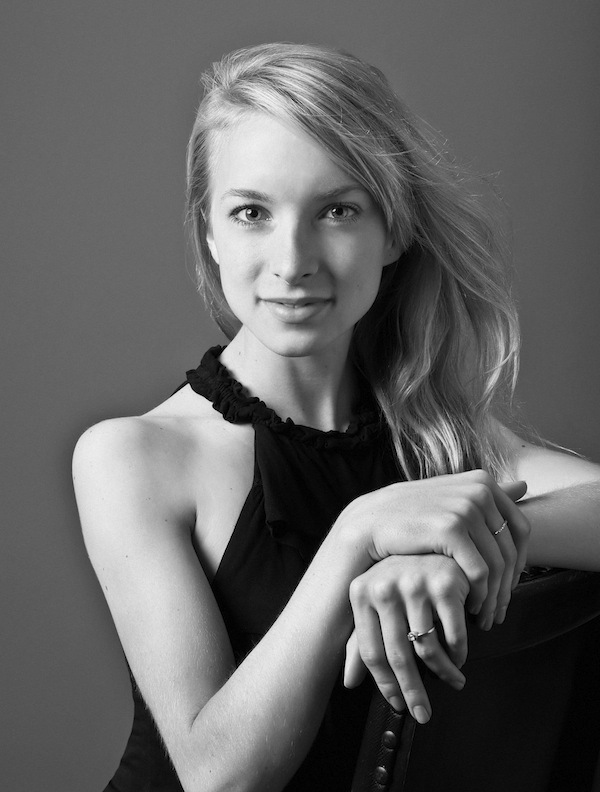 Shelby Elsbree, native of Sarasota, Florida, began her training in dance at the age of nine. Four years later when she was offered a full scholarship to train at the School of American Ballet, Shelby moved to New York City where she trained for five years under such renowned teachers as Kay Mazzo, Jock Soto, and Peter Martins among others, and performed several times with the New York City Ballet. Shelby was offered a contract with the Royal Danish Ballet after her final year in training, and moved to Copenhagen at the age of 18 to begin her professional career in the corps de ballet. 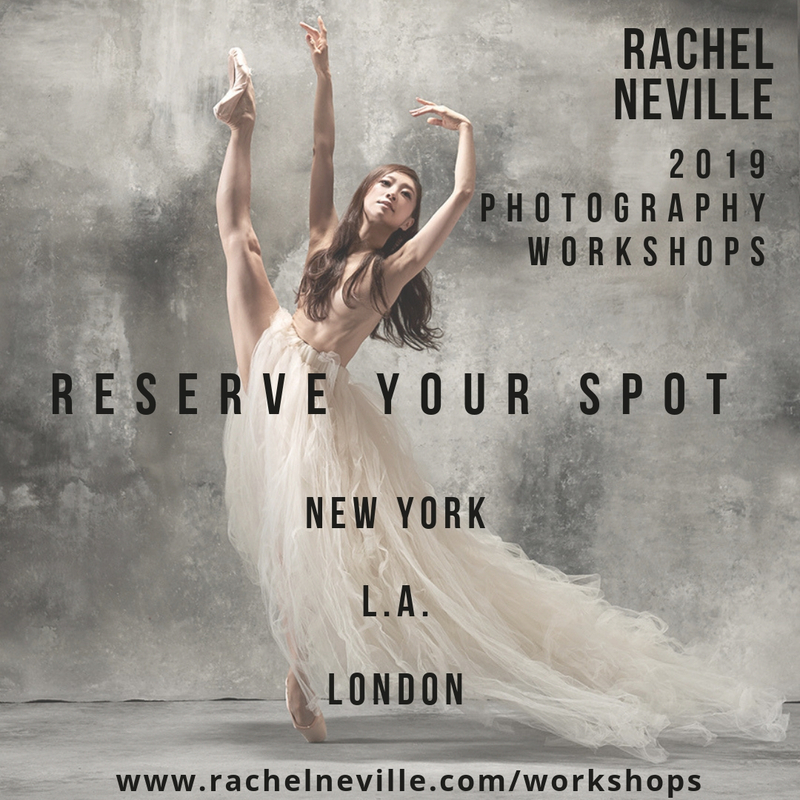 Currently dancing her fourth season with the company, she has received two merit scholarships for recognition of her talent, represented the company in the Erik Bruhn Prize competition in Toronto, Canada, and danced several leading roles. Among her most prized experiences include the Blue Girl in Jerome Robbins’ Dances at a Gathering, the Student in Flemming Flindt’s The Lesson, Olympia in John Neumeier’s Lady of the Camellias and the Golden Cockerel in Alexei Ratmansky’s The Golden Cockerel. I have been following Shelby on her blog for over a year now, and I’m so happy to have been forwarded to your terrific blog. 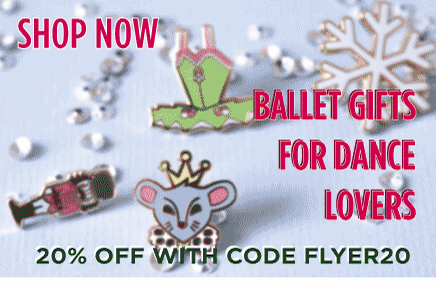 Looking forward to following future posts and if you get a chance please check out my sight, http://www.dancehealthier.com. Wish I was sitting front and center in Copenhagen for your debut. Instead I’ll be sending you warm and sunny thoughts from Florida. This is so informative. We are coming to Copenhagen to see the Golden Cockerel! We are so excited. Thank-you for writing!